Starring: Jeremy Renner (The Town), Rachel Weisz (The Mummy), Edward Norton (Fight Club), and more. 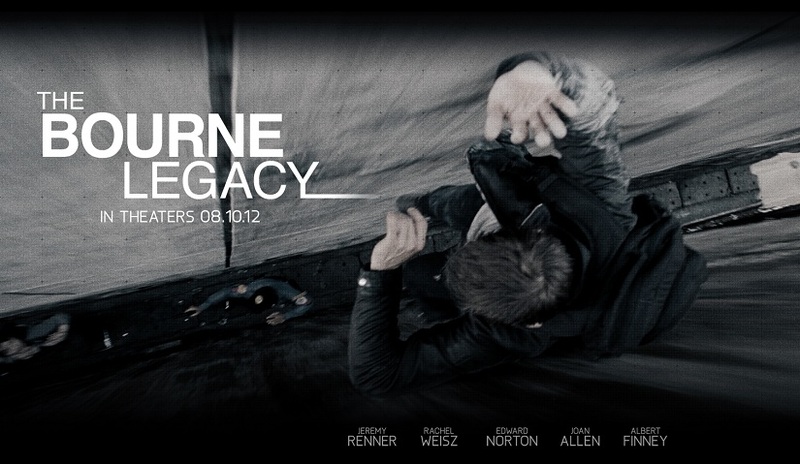 Bourne Legacy attempts to bring back the Robert Ludlam legacy to the screen with a spinoff film that does not quite hit the mark. Seeming to take place during the events of the last Bourne film (Bourne Ultimatum), Bourne Legacy begins rather cryptic and confusing as this secret spy film begins to take form. It keeps you guessing (not necessarily in a good way) as to what in the world is going on throughout the first 30-40 minutes of the film. Tying itself to the original series with mentions of Treadstone (along with other classified programs), Matt Damon’s Jason Bourne, and photos/clips/scenes of characters from the previous three, Bourne Legacy is like its predecessors in name alone. While I try to look at this film as its own, the marketing campaign and synopsis alone forces one to look at this in comparison to the previous three…and it pales in comparison. The performances are not awful…but they are not applause-worthy either. The forgettable performances and storyline just disappoint. 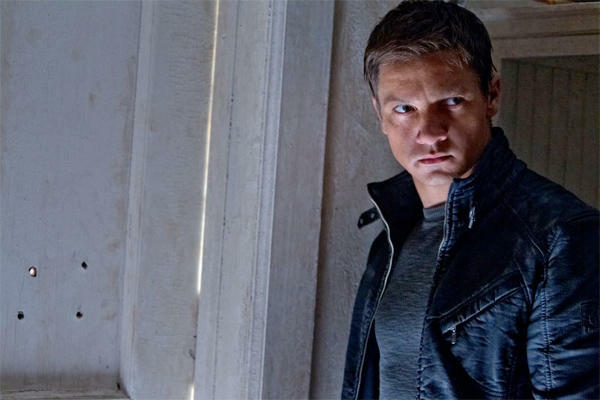 Renner as Aaron Cross carries the film via his actions as opposed to his words. Rachel Weisz stars as a scientist who must have been an amazing track star in a previous life seeing as she is able to keep up with the genetically enhanced agent as they run from their pursuers. Ed Norton’s performance is nothing greater than any of his previous ones, but is satisfactory. And the rest of the cast and crew seem almost inconsequential yet necessary as the film trudges through setting the stage for an action packed climax. Granted, there are a few good fight scenes, but they come and go so quickly that they end up forgettable. The only memorable fight sequence is a high-speed motorcycle chase that lasts longer than expected. 2. No memorable girl or connection to a girl. Yes, Weisz’s character is there…but she added no greater sense of humanity to the genetically enhanced/manipulated agent as Marie did for Jason Bourne. 3. It took forever to get started. 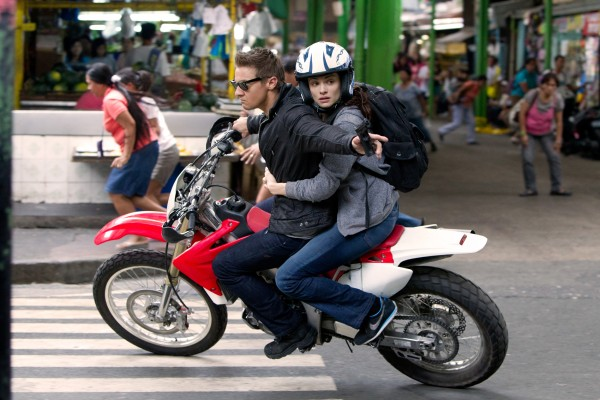 The film sacrifices helpful background connections to Bourne and character development for Agent Cross and switches that out for muddled references, useless characters, and unresolved plots and sequences which add very little to the film. 4. Lack of a good villain. Is it Treadstone? Is it Blackbriar? Is it Ed Norton’s character? Is it the hyped up, super agent, motorcycle-chasing villain who, through his entire ~20 mins on-screen (coincidentally the most exciting/suspenseful part of the film), has absolutely no lines of dialogue in the film? Is it the CIA? Is it the team of engineering scientists? Someone tell me. 5. Forgettable performances and storyline…oh, wait…I already said that. Sorry. I forgot. I jest, but seriously the biggest crutch for this film was connecting it to the Bourne series from the beginning. 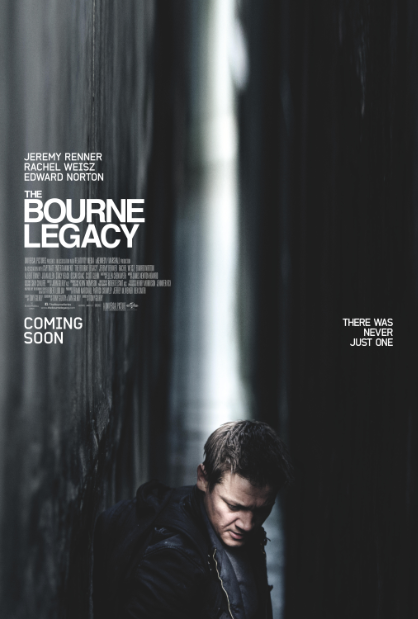 I wanted this film to be better and be Bourne-esque. It’s fun during the motorcycle chase scene at the end, but that’s really about it. The tease of the name caused the biggest letdown overall in that it lays more of the groundwork for following films instead of being its own movie. Lower your expectations and you will enjoy it…possibly…more than likely. So is the public’s love affair with Renner finally going to start diminishing, do you think? No I don’t think so. He wasn’t bad so, no. He will continue to get good deserved roles. I was watching Charlie Rose last night, and Gilroy and Norton were explaining they didn’t want a clear cut villain. It was supposed to be a more: ‘there’s some bad in all us’ theory. But I haven’t seen it yet, so I don’t know how well that worked. Overall, great review. thank you for taking the time to read and comment today. Yeah, it’s good to know that, but I wish theat they could have portrayed that better in the film instead of announcing it on Charlie Rose. If I had known that prior to watching I might have not let that part frustrate me as much. But then again, maybe not. Let me know once you see it. I agree with you T., the film just took way too long to get going and by the time it does, you sort of don’t care anymore. Ed Norton was a waste in that role. And where is the big fight scene we’re used to seeing in the Bourne films? I thought for sure assassin they sent would go mano-a-mano with Renner but it never happened. yeah. good point on the not caring. that was how I ultimately ending up feeling. and I, too, was waiting for that one on one battle with Renner. Man, not sure what happened in this film. Thanks for weighing in. I’ll be posting Ted’s review tomorrow and I’ll write up a mini one on my weekend roundup post. We pretty much agree on the rating on this one. 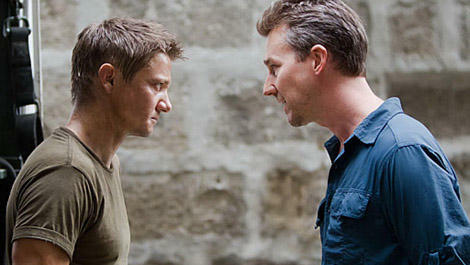 Well, one thing for sure, this movie does not change my initial feelings about Renner. He’s kind of a boring actor. Well, in his defense, I don’t see him as a boring actor as much as a victim of boring roles as of late. I found nothing boring about him in Affleck’s THE TOWN. But in The Avengers along with Bourne, he is slightly 1-dimensional for the majority of the film due to the script/story. Call me crazy, but for me, right now, Total Recall and Bourne Legacy are kind of the same thing and it gets hard to differentiate them at a first glance- same type of story, similar looking guys, and posters, and trailers, and release date. I’m not particularly interested in any of them, but I guess i will definitely skip this one if you didn’t like it. Thanks! haha. I can see what you mean. Well, you’re not really missing too much by skipping them both in my opinion. Thanks so much for reading and commenting. whaaaat? I’m just shocked to see you/commenters thought Renner was less than remarkable! I thought he was fantastic; the other actors were inoffensive. I wasn’t too impressed with Rachel Weisz until I considered what other actresses might have done with the same number of lines, and realized she’s the only one who could make that clueless damsel likable. I’m in the minority in the Bourne debate though; yes, I remember being blown away by the first one. But I haven’t seen it since it first came out, so it was easy to disassociate this from it. And the second and third I found pretty forgettable – literally, I can barely remember what they were about. Basically more and more government people going after Bourne, with some (admittedly awesome) action sequences thrown in. I thought the “there was never just one” tagline worked pretty well; because you do have to wonder.. if these are genetically engineered super-soldiers, how would every single one of them just get wiped out without a fight when they burned the program? There had to be at least one story of interest behind all that. Hi Tippi! sorry for the delayed response as I am currently out of town. Thank you for reading and sharing your thoughts. I do think that Renner was good, just not remarkable. His performance along with the movie as a whole ended up on the side of more forgettable than anything else. I’m so glad you chimed in. I enjoyed The Bourne Legacy, I don’t think it’s as good as the original three Matt Damon films but I thought it was cleverly written in terms of it’s connections the previous films, however I, like you, was very confused with the storyline in the beginning of the film as not a lot of it was given to us and was pretty difficult to piece together. I disagree though in terms of performances, I thought Renner and Weisz were both very good in their roles and provided a good chemistry. I don’t think that the fact there was no emotional connection to a girl was a problem at all as you state; I was actually quite pleased that they didn’t obviously explore a relationship because it would have felt out of place. 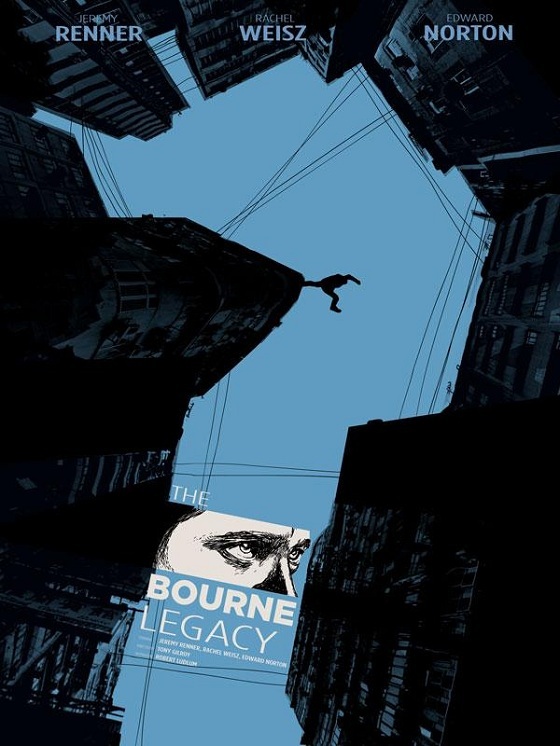 The Bourne Legacy set up Aaron Cross for his own series of films and on those grounds I think it did a good job in expanding the world and preparing for bigger things in the sequel. Granted, everyone is going to miss Matt Damon and Jason Bourne but I think this film proves that the franchise can live on in his absence. I’m so glad to see that others disagree! I welcome those thoughts. It’s what makes movie watching and opinions so fun. Allow me to be a little clearer. I don’t think that the performances were awful, but, as I’ve mentioned in a few earlier comments, they were about as memorable as the film itself…barely at all. I wasn’t really looking for a “romantic” relationship between Renner and Weisz, but some type of emotions to be evoked to allude to his humanity as opposed to him being just a science experiment. (Hope that makes sense). It was lacking. Thanks for sharing your thoughts. keep ’em coming.